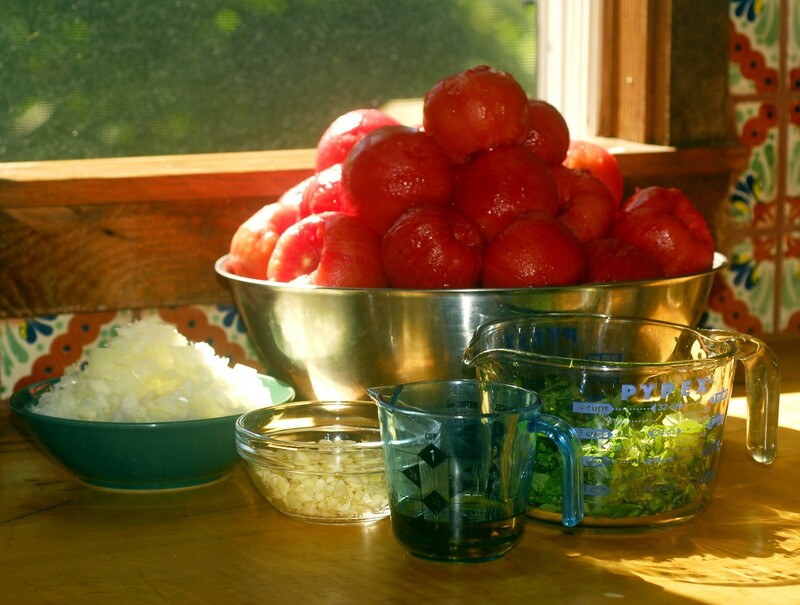 Tomato season has started here in Nantahala and today I made my first batch of tomato sauce from truly LOCAL tomatoes, not from the Asheville Farmer’s Market…This time my 25 lb. box of tomatoes was carefully scrutinized by Mrs. Cross, of Cross Farms and each one was absolutely without blemish and totally vine ripe!! Previously roast garlic: Separate garlic head into cloves, discarding the loose papery outer skin but keeping skin intact on cloves. Wrap in a piece of foil crimping seams to seal tightly. Bake at 425 for an hour. 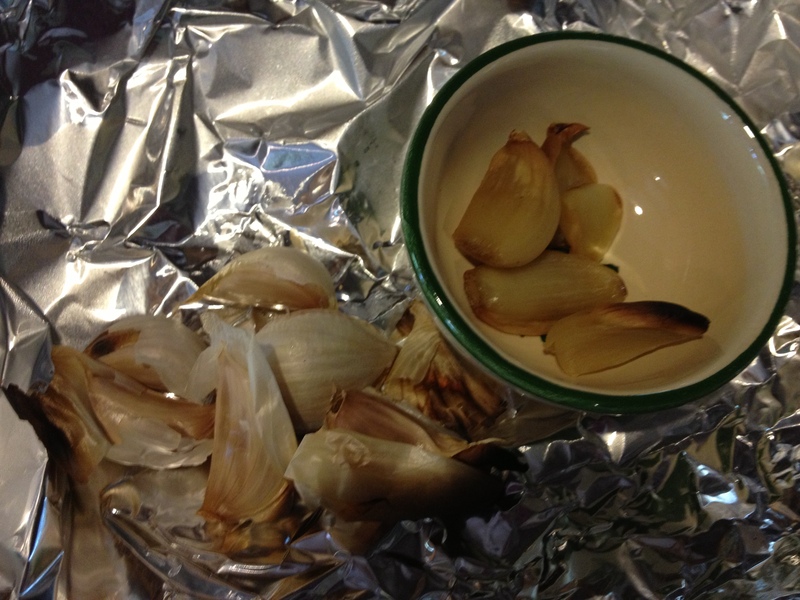 Allow to cool, then unwrap the garlic and allow to cool for 6-8 minutes. Peel skins from each clove. 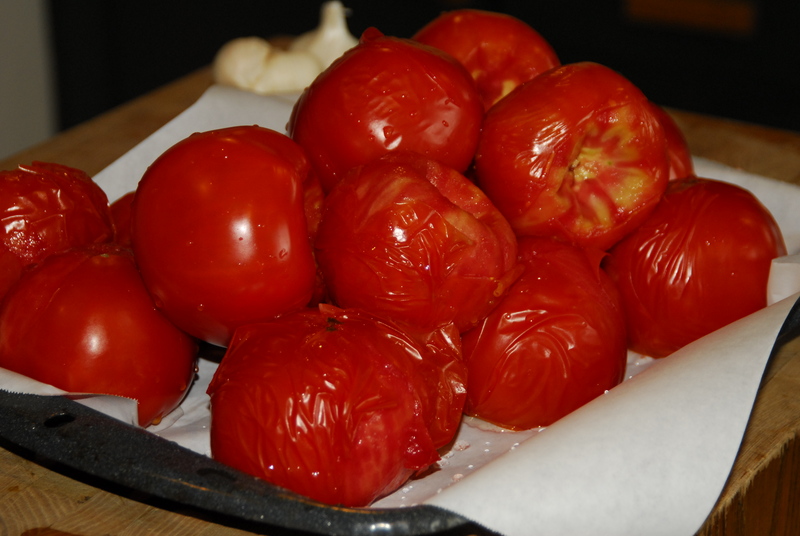 Peel tomatoes using hot/cold water method: Wash tomatoes and make a cross-cut on top. Set a pan of water on the stove and a pan of ice-cold water on the counter. 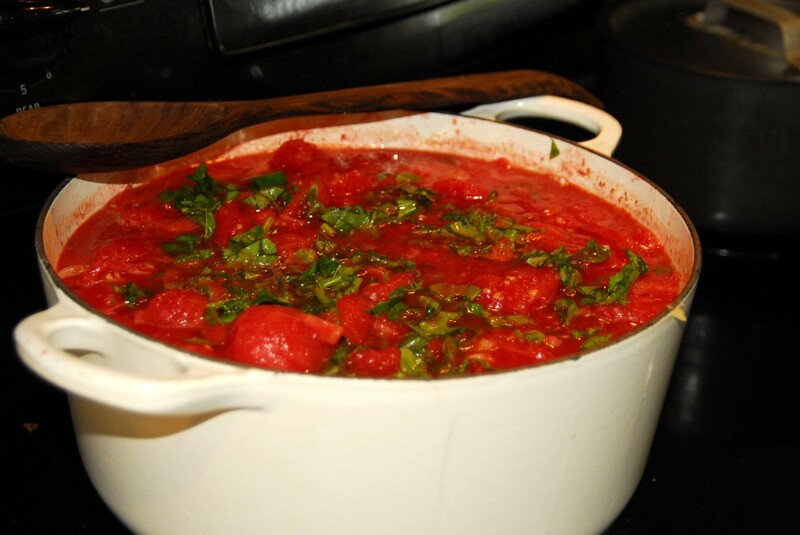 When the water is very hot, but not boiling, place tomatoes in the water for a few seconds and using a slotted spoon, fish out and place in the ice-cold water. Remove. Peel tomatoes. In a large, non reactive pan, heat olive oil over medium high heat until fragrant and sauté the onions until soft but not brown. Add the tomatoes, the roasted garlic, and the basil. Bring to boil, turn down heat and simmer sauce for 2-3 hours. Can and/or freeze the sauce. It should yield 12 cups. If canning, process for 30 minutes in a water bath or 20 minutes under 11 pounds pressure in a pressure cooker.